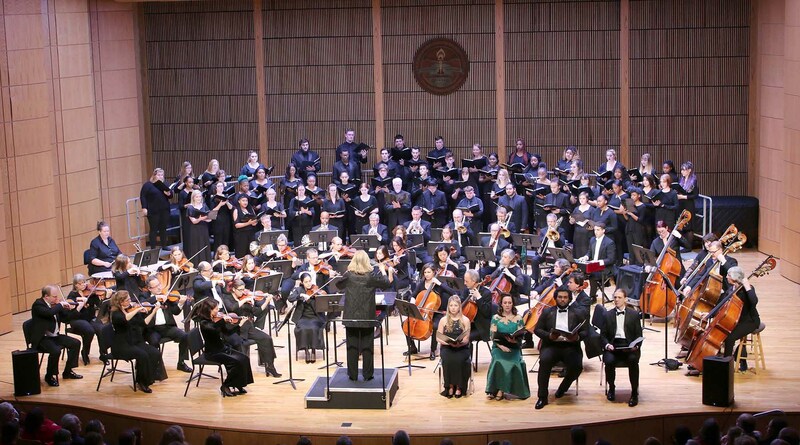 The FSU Chamber Singers and Chorale performed Wolfgang Amadeus Mozart’s “Krönungsmess Mass No.15 in C Major” with MSO under the skilled leadership of conductor and musical director Elizabeth Schulze during recent concerts in Hagerstown and Frostburg. “In class, you’re surrounded by other students. With the Maryland Symphony Orchestra, you’re surrounded by professionals that you could potentially work with someday,” said Davani Cooper, a member of the FSU Chamber Singers. Under the direction of Scott Rieker, lecturer in the Department of Music, the students regularly perform throughout the year, but through the partnership with MSO, students perform with professionals in a work setting and gain experience of the highest caliber. But, as Rieker explains, there’s more to gain than simply work experience. For more information about CES, visit ces@frostburg.edu. The presentation of the Maryland Symphony Orchestra was sponsored by First Peoples Community Federal Credit Union and supported by a grant from the Community Trust Foundation’s Iris and Peter Halmos Community Fund. Individual event sponsors include Mrs. Bernice A. Friedland, Ms. Janice S. Keene, Mr. Bill Mandicott and Dr. Lea Messman-Mandicott, the Honorable Mary Beth Pirolozzi, Mr. Victor S. Rezendes and Mr. John E. Minnich, Ms. Sandra K. Saville, Mr. Nicholas J. Scarpelli and Ms. Tama S. Scarpelli, and Mr. Douglas Schwab and Mrs. Betsey Hurwitz-Schwab. The Cultural Events Series is supported in part by a grant from the Maryland State Arts Council. On the web at msac.org. CES is sponsored in part by the City of Frostburg. 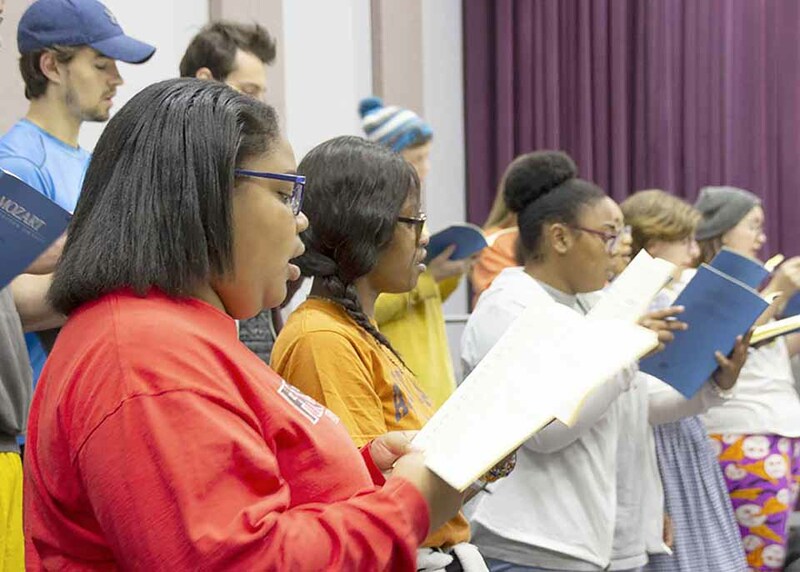 The Frostburg State University Chorale and Chamber Singers joined forces during a recent concert with the Maryland Symphony Orchestra. The FSU Chorale and Chamber Singers rehearsed separately before working with MSO conductor Elizabeth Schulze in advance of the performance with MSO.